The recently launched Bajaj Pulsar RS200 which is labelled as the fastest Pulsar yet has seem to caught the fancy of Indian 2 wheeler consumers as it has registered 1,000 booking within a week of the launch. 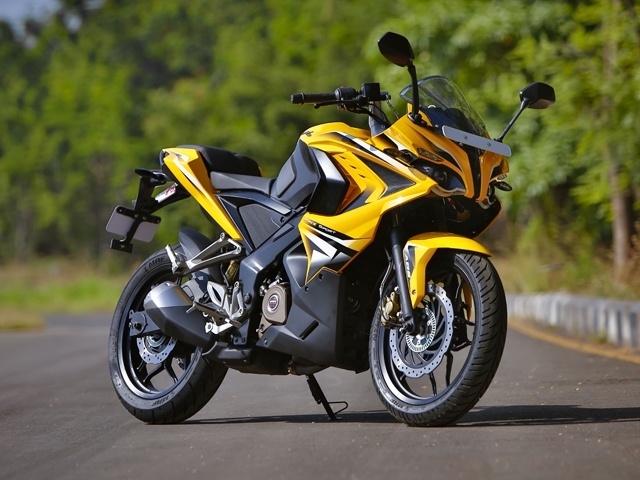 Bajaj Pulsar RS200 is the most awaited motorcycles to enter the Indian two-wheeler segment in 2015. The intensity to own Pulsar RS200 is so high that it has seen over 1000 bookings from motorcycle enthusiasts within seven days of its launch. The Indian auto-maker, Bajaj has crowned this bike as the the fastest Pulsar yet as it has got a top speed of whooping 141kmph. Bajaj Pulsar RS200 is available in 2 variants – Standard and ABS version. The standard version of Bajaj Pulsar RS200 is priced at 1.18 lakh rupees while the ABS version of Bajaj Pulsar RS200 has been priced at 1.3 lakh Rs (Prices according to ex-showroom Delhi). Bajaj Auto sales has recorded a drop of 22% drop in sales for the month of March in 2015. Bajaj Auto is betting big on fortunes of Bajaj Pulsar RS200 sales numbers. Bajaj Pulsar RS200 is the very first fully faired motorcycle in a manufacturing unit present at Chakan, the same unit where Bajaj Pulsar 200NS was manufactured. Pulsar RS200 positions itself to be distinguished as the bike is fuel-injected instead of carburetted motor (which we seen on Pulsar 200NS). The Fuel-injection present in Pulsar RS200 results in crisper throttle response that avoids cold starting problems. The Fuel-injection technology also helps in increasing the power output of the bike. The engine used in Bajaj Pulsar RS200 is a 199.5cc, liquid-cooled which churns out a maximum power of 24.4 PS at 9,750 RPM and a maximum torque of 18.6 Nm at 8,000rpm. On the whole, the all new Bajaj Pulsar RS200 is quietly similar to Pulsar SS400 that was first showcased at Auto Expo which was held in 2014. 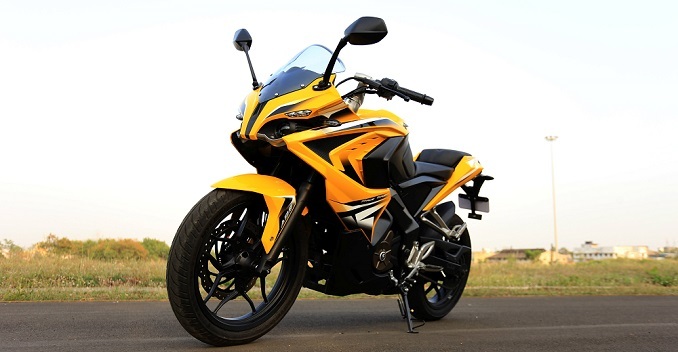 The design of Pulsar RS200 is up front is multi-layered and full-fairing with dual projector head lamps . Turn indicators of Bajaj Pulsar RS2000 are as well LED and very much resembles at that of KTM Duke. The ‘Race Sport’ (RS) tag of the new Bajaj Pulsar RS200 comes with front windscreen, split seats and a tall two-piece handlebar.